In the heart of Sardinia, just a few steps from the sea. Le Torri Hotel is the ideal place where you can spend a pleasant holiday or a business trip, close to the beautiful beaches of the Oristano coastline and with all the comforts you could wish for. An oasis where your stay can be enhanced by a relaxing massage, a visit to the emotional shower, sauna and whirlpool, as well as by the oportunity to discover a still unspoiled territory. 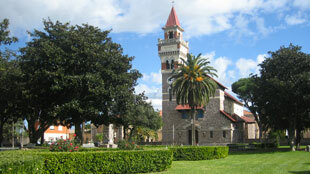 Its central location allows you to reach easily Oristano and all the best destinations on the west coast. A 4-stars hotel that offers unforgettable moments of pleasure and well-being, no matter if you are on holiday or on a business trip. Arborea is a small town situated in a very green area and witha population of approximately 4,000 inhabitants. Its main streets are classified not by name but by number and, as they are intersected by the provincial road 49, are also distinguished in east and west. 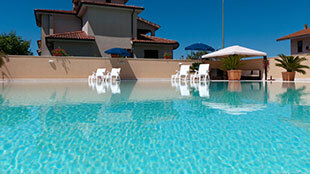 Its central location makes Le Torri Hotel an ideal place for a holiday in Sardinia all about sun, sea and relax. In a few minutes you can reach the marina of Arborea: 9 km of coastline where you can enjoy a peaceful and relaxing surrounding. A 4-star hotel near Oristano ready to welcome you and make your stay special. Whether you are in town for business or a holiday, our staff is on hand for your every need. A conference room equipped with all facilities is available for your business meeting. Alternatively, you can relax in our swimming pool, lying comfortably in the sun and cooling off surrounded by the scent of flowers. Or indulge yourself with the essences and the warmth of the Spa, which includes Turisk bath, sauna, emotional shower, massagges and whirlpool bath. Accoglienza superlativa fornita da personale preparato e disponibile. Buona la posizione pulitissimo, piscina all' interno della struttura e centro benessere annesso.